"The hotel is new and clean." "Located right next to the shopping area and metro station." "This hotel is in good location close to university." 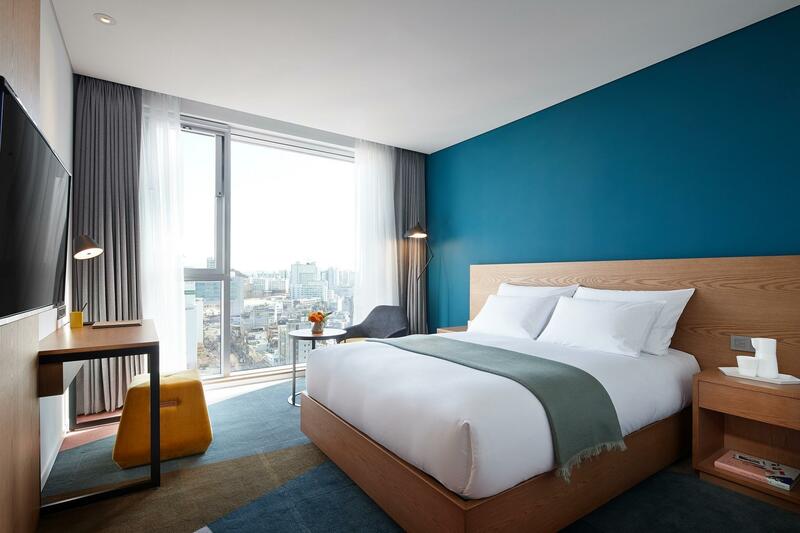 Built in 2018, L7 Hongdae is a distinct addition to Seoul and a smart choice for travelers. Set from the excitement of the city, this 4-star property commands an excellent location and provides access to the city's biggest attractions. With its convenient location, the property offers easy access to the city's must-see destinations. 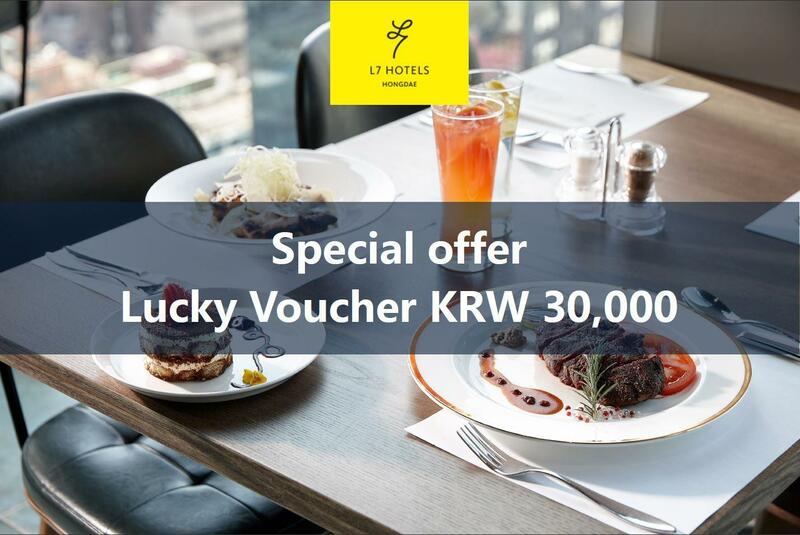 Lotte Hotel is renowned for its quality services and friendly staff, and L7 Hongdae lives up to expectations. 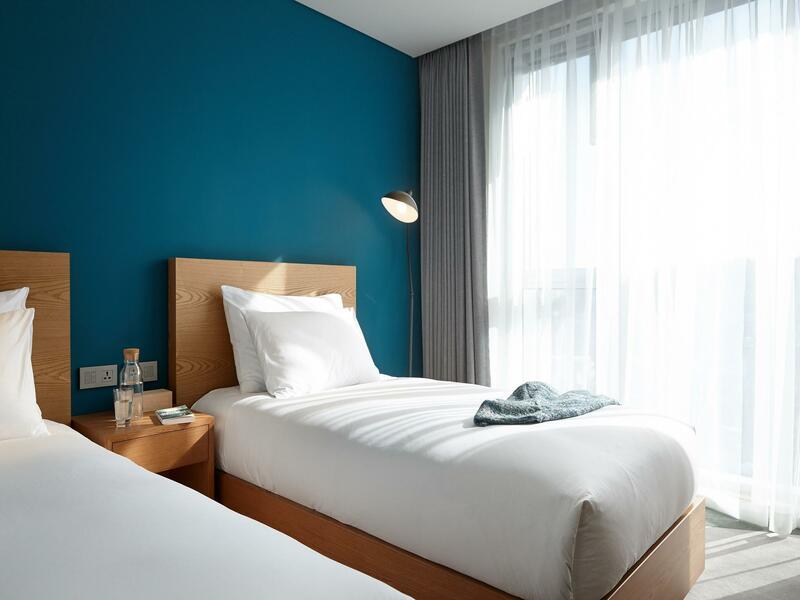 Guests can enjoy on-site features like free Wi-Fi in all rooms, daily housekeeping, laundromat, 24-hour front desk, facilities for disabled guests. All guestrooms feature a variety of comforts. Many even provide closet, complimentary tea, towels, clothes rack, slippers to please the most discerning guest. The property offers wonderful recreational facilities such as fitness center, outdoor pool to make your stay truly unforgettable. Enjoy a great location and services to match at L7 Hongdae. "Room has nice view of the city and i love the check in recwi..."
- Access to swimming pool and use of rental equipment are available at an additional charge. The fees will be collected in advance. - Only adults are allowed to access the swimming pool. - Admission may be restricted if guests reach maximum capacity of the swimming pool. - During special events, hours of operations are subject to change and additional charges may apply. - Guests are required to wear the admission band when entering swimming pool area. - Swimming pool may be temporarily closed due to bad weather conditions. - Guests are required to wear proper swimwear to access the swimming pool. For details, please contact the property directly. 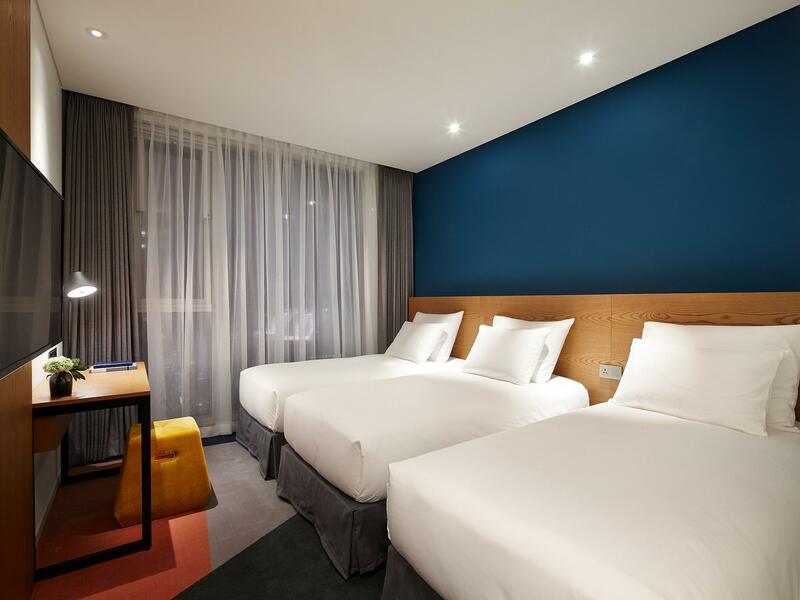 The hotel is located close to Hongik station (around 2 mins walk). The hotel is new, modern and clean. Tip: Asking for the upper floor. The lower floor rooms are a bit noisy due to they’re closed to the road which is cozy all night. Perfect stay and will definitely visit again. The front desk staff are professional and somewhat helpful. Don’t expect too much smiles as compared to. L7 Gangnam, or the near Holiday inn express .& given this is a shopping area, I think that’s still somewhat expected. Second time to stay with L7 hotel. (Last year was Myeong Dong) The location is perfect , we able to find many great restaurant ,shops around there. Room also cozy and comfortable. Coffee provided in the room is delicious too. I already decided to stay at here again for my next trip! It took less than 3 minutes from Hongdae Stn. Exit 1 to the hotel. There’s an escalator in that exit too. Downside: the building right next to the hotel was under construction so it was noisy sometimes. There were only 4 elevators to the hotel floors, so it took some time for the elvators to come to the first floor, especially at night. A nice and very convenient place to stay. That’s my second to stay here.Since staff are friendly and considerate.Easy excess to subway station,it’s only take few minutes to walk,very convenient and good location.We definitely return to this hotel for future visits and highly recommended. The hotel is new and clean. Staff are nice and helpful. However, there is a lady took away our plastic bag that’s with the souvenirs inside. (There are some other grocery) We suggested the hotel to be more careful while cleaning the rooms. Clean, spacious by Seoul standards and nicely decorated room. Self check-in/check-out terminals and Express check-out dropbox was so efficient that we came and went without human staff interaction - undecided whether that's good or bad but that's technology working for you. =) Will come back to Seoul just to stay at L7 Hongdae again! Very good location, just next to train station, easy access to both railway or airport bus stop. Easy self check-in and check-out service, it is not necessary to queue in the reception area, save much time. 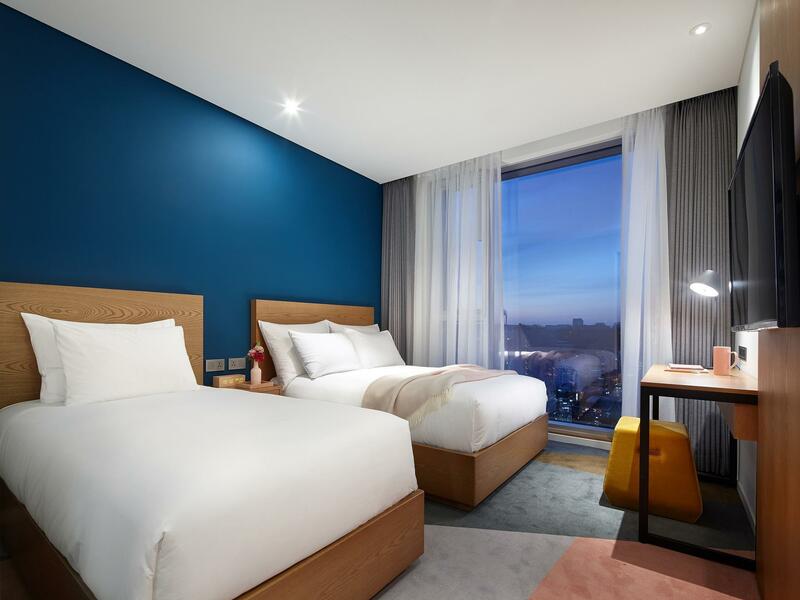 The rooms are very clean with sufficient lighting, with modern design. The world trend now is concerned on environmental protection, but this hotel is not care about it. The housekeeper throws away the toothbrush everyday. The shower gel, shampoo & conditioner will throw away everyday too even I’ve only used a little bit. Such a waste of things! The room is quite noisy caused by the road traffic & signal sound of pedestrian crossing. Better to request the room which is not facing the main road. Most of the staffs are wearing poker face. Others from these, the hotel is quite good. Stylish room with excellent location. However, the staff ( who work at the front desk) was not as friendly as other hotels - they usually don't greet people. The cleaning lady was very nice tho. Great gym and laundry room. Overall, I will recommend it!! You can't ask more about the location, just two minutes walk from metro. Room is clean and the staff is all in good manner. The only problem is that you would hear the traffic noise from main street. As said, it’s a very stylish modern hotel. Location is convenient next to subway. Amenities in the room are sufficient. It’s very clean and comfy as well. The room is compact, small yet you won’t feel the same. Very happy with our stay. 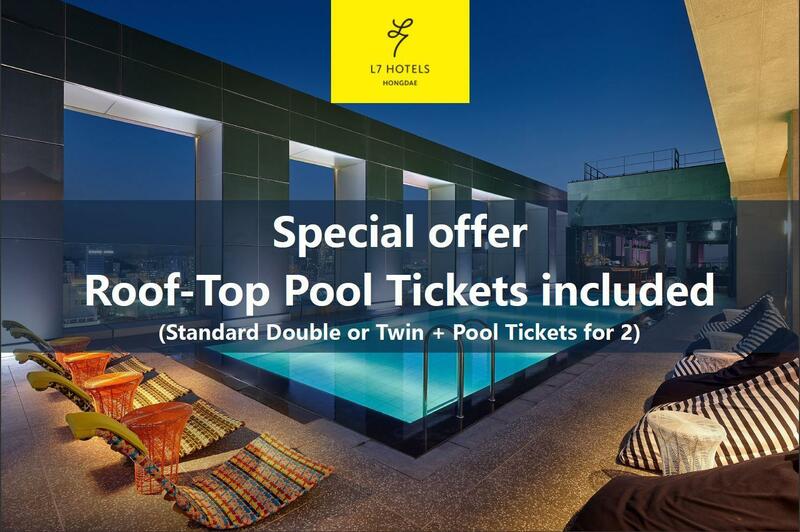 The only thing we didn’t like was the 20 000 won fee to use the roof top pool. 20 000 is a lot to use a pool when you are already a paying guest. Should be included. The location is great for roaming around Hongdae with its shopping and nightlife. The area is VERY young though. Didn’t see many people over the age of 20. If you are older but still interested in clubbing I would consider staying in a different area.